Sourcing Natural Fibers Puts Supply Chain Managers In A Virtuous Circle. Raw material choice and raw material availability are listed among the top eight considerations in the “virtuous circle” of a balanced scorecard approach to sourcing for garment supply chain managers (https://www.just-style.com/analysis/how-to-build-a-balanced-apparel-sourcing-strategy_id134268.aspx). Despite their importance, many aspects of modern fiber choice and availability are poorly understood within the supply chain. Cotton is by far the most used and preferred natural fiber. Of the 94 million tons of all fiber produced in 2017, 34 million was natural fibers. Cotton makes up 24 million tons, while wool represents 1.1 million tons. Some of the other major natural fibers are jute, coir, abaca, hemp, kapok, alpaca, silk, mohair, and sisal, along with ten other natural fibers of commercial interest (www.dnfi.org). Over the centuries, the percentage of natural fibers in total fiber consumption has changed dramatically. Until the 18th century, natural fiber comprised all fiber availability, with wool and linen at more than 90 of use in the early 1700’s. By the turn of the 19th century, it was still a natural fiber world, but cotton’s share reached about 75 percent and remained there until the onset of WW-II. Technology breakthroughs and economic development following that war led to rapid growth in manmade fiber production, particularly petroleum-based synthetic fiber. Today fiber consumption percentages stand at nearly 65 percent manmade fibers versus 35 percent natural fibers of all types, with cotton representing 70 percent of the natural fiber used. Some forecasters see this trend continuing indefinitely (https://www.woodmac.com/research/products/chemicals-polymers-fibres/fibres/synthetic-fibres/). However, there are reasons to suspect that natural fibers versus synthetics trend could be at a tipping point. Natural fibers, including cotton, employ an estimated 250 million people worldwide from agriculture through further processing in the supply chain. As the social costs of a shift from natural fibers to synthetics are further evaluated by leading brands and consumers, there is potential for some slowing of the trend toward synthetics, which employs relatively few people. All of these companies are pushing the limits of what we, as consumers, know as possible. They’re reimagining every step of the consumer journey, from shopping to wearing to sharing. That’s what’s so exciting for me as a designer — it’s all changing. When we combine science — be it chemistry or big data, design, and consumer insights, we get fashion magic. In some cases it results in your favorite pair of frames, in others it’s the future of fabric. All of it is fashion technology. And all of it is happening right now. In addition to the social costs of shifting away from natural fibers, the environmental costs of synthetic fibers can be high. Synthetics rely exclusively on non-renewable resources, such as petroleum and coal, as their feedstocks whereas cotton and other natural fibers are rapidly renewable and often carbon neutral in the form of plant material that sequesters rather than emits CO2. As an example of the high environmental costs of synthetics, China has moved in the past four decades from a minor producer of synthetics, to by far the world’s dominant supplier. Synthetic fiber production in China has led to massive pollution, leading to plant shutdowns and relocations (https://www.npr.org/sections/parallels/2017/10/23/559009961/china-shuts-down-tens-of-thousands-of-factories-in-unprecedented-pollution-crack). Microfiber pollution of land, waterways, lakes and oceans has increasingly been recognized as a threat to the synthetic industry by virtue of being a ballooning threat to human and animal health globally (https://www.theguardian.com/environment/2016/jun/20/microfibers-plastic-pollution-oceans-patagonia-synthetic-clothes-microbeads; https://www.vox.com/the-goods/2018/9/19/17800654/clothes-plastic-pollution-polyester-washing-machine). Cotton and other natural fibers are much more readily decomposed in land and water environments, and are increasingly recognized as part of the solution to this crisis – “A key action to reduce micro synthetic fiber pollution must be maximizing the proportion of natural fiber in global textile products since there is evidence that these biodegrade relatively rapidly and do not accumulate in the environment in the same way as synthetics such as polyester and nylon” (Microplastic pollutions from textiles: a literature review http://www.hioa.no/content/download/144803/4071096/file/OR1%20-%20Microplastic%20pollution%20from%20textiles%20-%20A%20literature%20review.pdf ; (https://www.cottonworks.com/topics/sustainability/cotton-sustainability/biodegradability-of-cotton/?highlight=microfiber%20pollution). Although polyester and other synthetics have greatly improved performance since their early days, cotton, wool and silk still rank very high in global consumer preference, whereas synthetics rank high in consumer avoidance (https://lifestylemonitor.cottoninc.com/consumer-perspectives-on-green-apparel/). Consumers do not always act on stated preference, but it is important for brands and retailers to keep in mind when marketing. 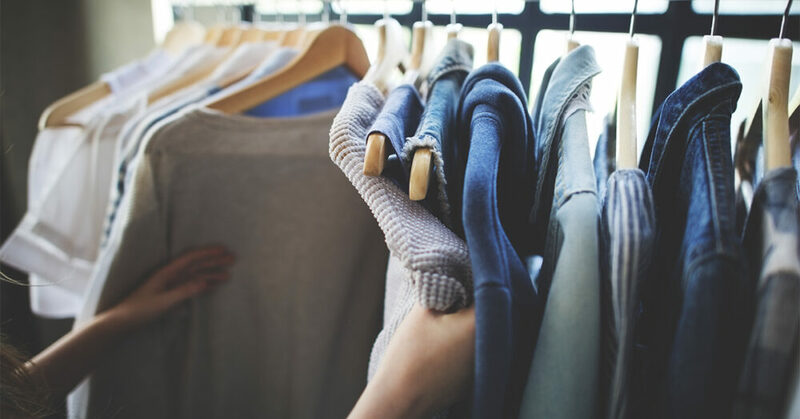 Given the strong underlying consumer preference for natural fibers, a shift favoring purchases of garments and home furnishings made of those materials is possible as the true-life cycle costs of synthetics become evident. If raw material choice and availability are key factors in a virtuous circle for garment and home furnishings sourcing success, then natural fibers, particularly cotton, should play a major role in that circle. COTTON USA stands ready to work with all links in the supply chain to facilitate the proper choice for the short, intermediate and long term (www.cottonusa.org). Allen A. Terhaar is president of Terhaar Global Advisors. He serves as a senior advisor to Cotton Council International (CCI) and advisor to Supima. Terhaar is a former vice president of the National Cotton Council of America, and earlier was executive director for the U.S. Feed Grains Council and an economist with the U.S. Department of Agriculture. Terhaar served as past chairman of the International Forum for Cotton Promotion (IFCP), the Private Sector Advisory Panel (PSAP) of the ICAC, and the U.S. Agricultural Export Development Council.